First Serve: vs. Weber State @ 12 p.m., vs. Idaho State @ 5 p.m. The Wildcats are currently 0-1 overall for the season and are coming off a 6-1 loss at No. 58 BYU. Weber State recently experienced a staff change, as Brad Ferreira replaced Jared Burnham as the head coach of the squad in August. The Bengals are slated for their first match of the season against Utah State at home before coming to Salt Lake. 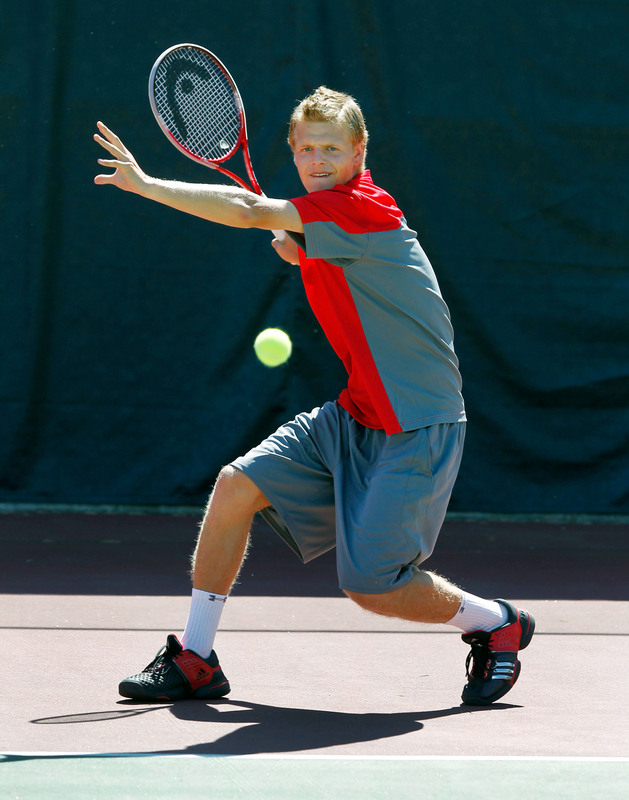 • The Utes currently boast two ranked individuals, No. 85 senior Dmytro Mamedov and 52nd-ranked sophomore Slim Hamza. • Utah currently holds a 12-0 record against Weber State since 2001. In their last meeting, the Utes swept the Wildcats 7-0, only giving up one doubles match to 44th-ranked Oliver Good and Simon Unger at the No. 1 doubles position. • The Utes lead the series against Idaho State 15-0, with 10 shutouts of the Bengals since 1998. The Utes welcome all of their returning 2011-12 letter winners as well as their most recent addition to the squad, sophomore Cedric Willems. The sophomore transfer from Clemson University and native of The Hague, the Netherlands, will appear for the first time with the Utes Saturday. This entry was posted in Schedule/Results, Uncategorized and tagged Cedric Willems, Dmytro Mamedov, Idaho State, Slim Hamza, University of Utah, Utah Tennis, Utah Utes, Weber State. Bookmark the permalink.